Below are the official 2018 Hockomock League Gymnastics All Stars, selected by the coaches in the league. 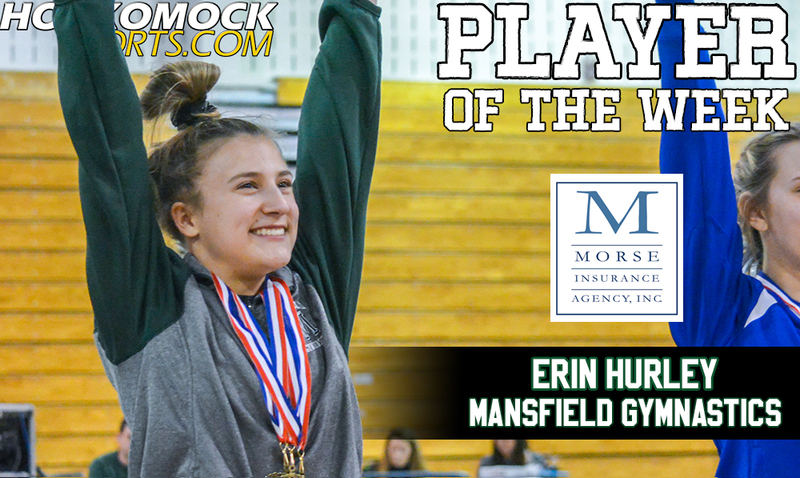 Mansfield freshman Erin Hurley has been selected as the HockomockSports.com Player of the Week, presented by Morse Insurance, for Feb. 4 through Feb. 10. Hurley is the 19th player selected for the 2017-18 school year and ninth player chosen during the winter season. 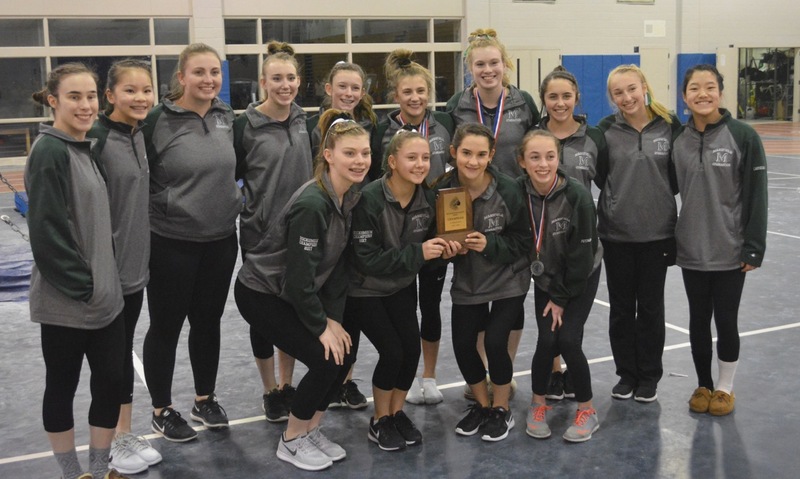 Hurley capped her first season in the Hockomock League with two impressive all-around performances this week, helping Mansfield finish undefeated in the dual meet season and also bring home the team title a the annual Hockomock Gymnastics Championships held at Shrewsbury High. Hurley won the individual all-around title in both the final regular season meet against Oliver Ames and at the Hock Championships. In a battle of undefeated teams, Hurley scored a 36.55 in the all-around to beat OA and lift Mansfield to the Hockomock League title. She finished first in the uneven bars with a 9.35, second on vault with a 9.35 and third on the balance beam. On Saturday, Hurley won two event titles and had a total score of 36.800 to edge Franklin’s Mia Lizotte by 0.350 for the all-around title. She finished fourth on the floor with a score of 9.300, first on the bars with a score of 9.600 and first on vault with a score of 9.300. 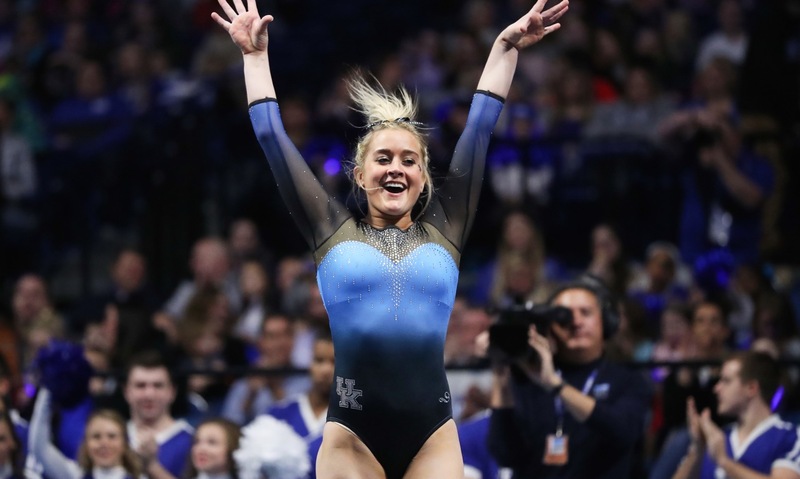 When Foxboro High alum Alex Hyland stepped up to the vault for her first event as a freshman gymnast at the University of Kentucky, it was obvious that competing in the SEC was going to be vastly different from the top-level club meets that she took part in high school. Hyland has fed off the enthusiasm of the crowds, her teammates, and the pressure of competing in the nation’s top conference and she has shone on the biggest stages in collegiate gymnastics. In two seasons at Kentucky, Hyland has been named All-SEC twice, winning a share of the SEC title on the balance beam last season, twice has qualified for the NCAA Championships, and last spring was selected as an All-American. 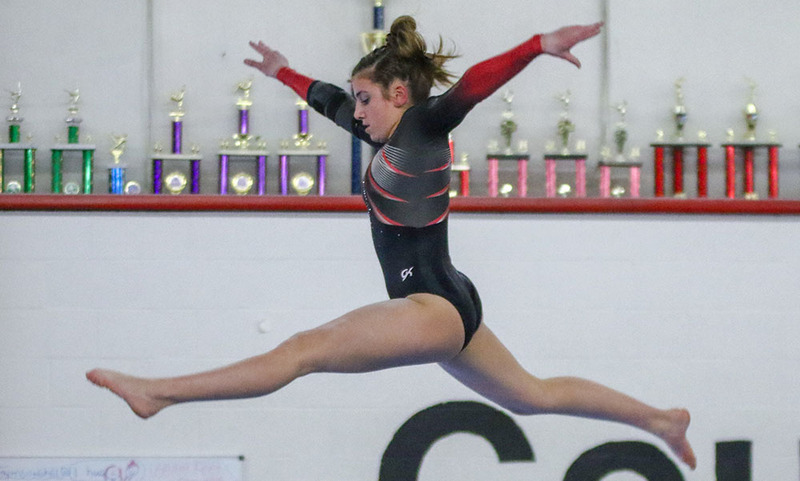 It has been a long journey – from an active 6-year-old “always flipping around the house” to starting out at Arnold’s Gymnastics in Mansfield, working under coach Nikki Longo, to being one of the top performers on the sixth-ranked team in the country. With all the top performers returning from a team that finished 13th in the country last year (barely missing out on the top 12 and a spot as a team in the NCAA Championship) and several new athletes adding fresh routines, Kentucky has high expectations this season. Hyland said that the Wildcats are not concerned with the target on their backs but are motivated by living up to their potential. Personally, Hyland has plenty of confidence after the success of her first two seasons with the Wildcats. As a freshman, she scored a 39.175 to win the NCAA Regional all-around title, recorded the highest uneven bar score (9.9) of any Wildcat that year, and won six event titles. Last year, Hyland was named a regular season All-American with her beam qualifying score and then won the beam title at the SEC Championships with a score of 9.50. 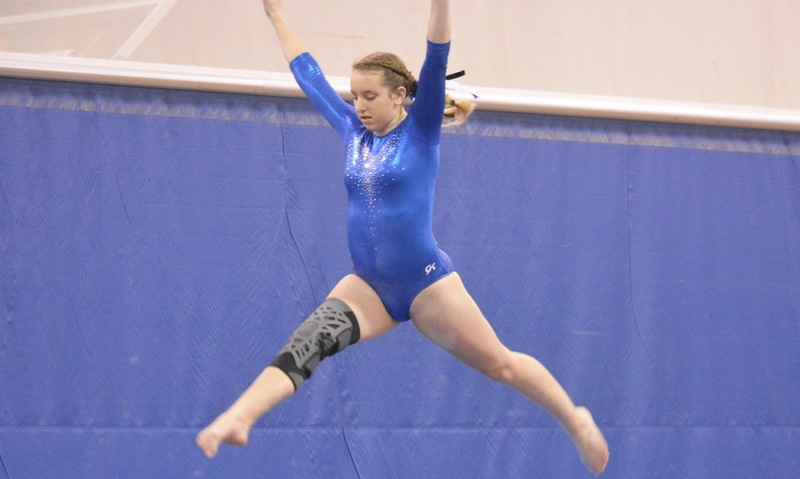 Being seeded fifth entering the meet, Kentucky was in the first group of teams to compete on the apparatus. Hyland went sixth and posted her strong score, but then had to sit and watch as the second group went through, keeping track from the sidelines to see if her score would hold up, which it did. Foxboro does not have a high school gymnastics program, so all of Hyland’s experience growing up in the sport was through Arnold’s Gymnastics. Under the tutelage of Longo, who remained Hyland’s coach right up until she left for college, Hyland was a four-time state champion and qualified for the Junior Olympic Nationals four times. College coaches started recruiting Hyland during her sophomore year at Foxboro. She attended several camps during the summer and made the decision to commit to Kentucky. It is not only the results that have been positive so far. The experience of being part of a team, something that was missing from club gymnastics, has added a new dimension to competing. No longer is gymnastics solely an individual pursuit. Her teammates are not the only ones that are cheering on Hyland. There are now scores of girls competing in gymnastics at Arnold’s and other gyms in the Foxboro area that are looking up to her, as one of the few gymnasts to compete at the collegiate level, let alone the SEC. Unlike most sports, gymnastics does not afford much time away from training, even in the off-season. But, Hyland does get the chance to come back to Foxboro for a couple of weeks in the summer and she makes sure to return to Arnold’s and look at the equipment that she used to work on every day. It is only a short time to reflect on how far she has come in the sport before returning to Lexington to focus again on getting the Wildcats to the NCAA Championships. Following the win over Auburn, Kentucky posted the same score as a team (196.700), which is tied for the sixth highest in program history, but could not beat LSU (the No. 2-ranked team in the country). On Friday night, the Wildcats (5-3, 2-3) lost for the second straight meet, falling 196.150-195.550 to No. 13 Georgia, but Hyland won her third beam title of the season with a score of 9.875 and took third in the all-around with a total of 39.275. Click here for a photo gallery from the Hockomock Gymnastics Championships at Shrewsbury High, 2-10-18.